This alert gives notice to citizens in the 014th District of two burglaries that have occurred recently. In both cases, the unknown offender pried open the residential garage door, entered the garage and stole miscellaneous tools from within. Both burglaries occurred in the overnight hours and may have been committed at the same time and by the same offender. CORRECTION: Offenders address is the 2500 block of N. McVicker Ave. This alert gives notice to citizens in the 014th District of several burglaries that have occurred recently. In each case, the unknown offender pries open the door, enters the residence and steals property from within. The burglaries usually occur during the daytime hours when the victim is at work. In some cases, the residence is under construction and the burglaries occurred overnight when the construction workers were not present. This alert gives notice to residents in the 19th District (Town Hall) of burglary incidents that have occurred during the month of October. In these incidents, the offender(s) entered the victims’ residences in one of two ways; either by an unlocked window/door or by taking the garage remote from an unlocked vehicle and entering through the attached garage. Once inside, the offender(s) took various items from the victims’ home or vehicles. In some instances the victims were at home asleep or otherwise preoccupied while the offense took place. 31 Oct 18 - Business Alert - Robberies 8th and 9th District P18-1-304BA NP. This alert gives notice to businesses in the 8th (Chicago Lawn) and 9th District (Deering) of robbery incidents which have occurred during the month of October. In these incidents, the offender was armed and removed merchandise from the businesses. This alert gives notice to residents in the 19th District (Town Hall) of burglary incidents that have occurred during the month of October. In these incidents, the offender(s) entered the victims’ residences through an unlocked door or through a window after cutting the window screen. Once inside, the offender(s) took various items from the victims’ home. On October 30th, 2018 at approximately 3:30 p.m. a female juvenile was walking in the 500 block of E. 112th St when an unknown male white driving an SUV pulled alongside of the victim and asked her if she needed a ride. The victim replied no and quickly ran away. The victim related that this vehicle drove away in an unknown direction. The victim did not recognize this male white and has never observed him before this incident. This incident occurred in the 005th District Calumet. 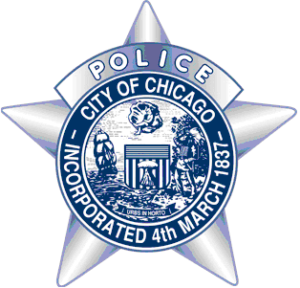 This alert gives notice to residents in the 6th District ( Gresham) and 22nd District (Morgan Park) of two recent robbery incidents which occurred in the Auburn Gresham neighborhood on Beats 2222 and 614. In these incidents, lone female victims were punched and knocked down by a male offender who then took their property. This alert gives notice to citizens in the 3rd District (Grand Crossing) of robbery related incidents which have occurred during the month of October. 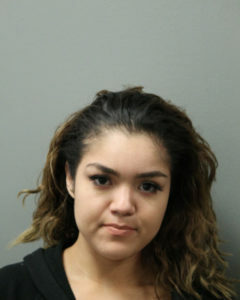 The offenders, who were riding in a car, approached the victims while they were on the sidewalk and took their property by using physical force. In one incident, the vehicle is described as an older model and burgundy colored. In another incident, the vehicle is described as a Chevy. This alert gives notice to citizens in the 9th District (Deering) of burglary incidents which have occurred during the month of October. In these incidents, offender(s) entered the residences and took property from therein.